Recently we wrote about how Google and Amazon are huge competitors to one another when it comes to e-commerce. During the research for that blog we noticed that Google has a wonderful “Google Shopping” feature that greatly improves the overall shopping experience, and because we liked it so much we decided to do some more digging. Google has streamlined its process for merchants wishing to post their products for sale online. Previously this process was a non-paid service, but now Google is treating its product listings exactly like its online ads. Vendors can pay as much or as little as they’d like, and the product bids and descriptions will help determine how high the product is in the search list. Vendors can set up product listings in two ways, through Google Adwords (where normal Google PPC ad management is set up and paid for) or through Google Merchant (where product listings have always been based). Instead of normal keywords, Google will use product categories and other identifiers specific to certain products to determine how relevant a product is to a consumer search. There is a huge array of products available for sale on Google Shopping, as well as professional services. 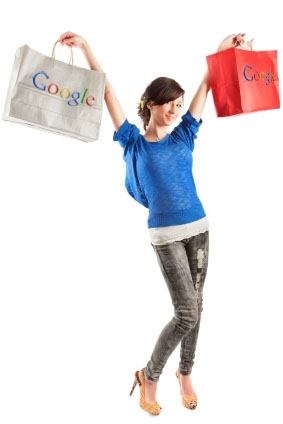 MARION is thrilled to join Google Shopping in its efforts to streamline the online buying process. We already have a master account with Google Adwords that we plan to utilize for our internet marketing services.